"An Egyptian Tomb, An Etruscan Inscription and the Funerary Monument of an American Civil War Hero"
Lisa C. Pieraccini received her Ph.D at UC Santa Barbara. Dr. Pieraccini lived in Rome for many years where she taught and conducted research at the Etruscan site of Cerveteri. She now teaches in the Classics Department at the University of California Berkeley. Active at the southern Etruscan city, Caere (known today as Cerveteri), her research interests and publications include Etruscan pottery, burial customs, Etruscan and Roman wall painting and the reception of the Etruscans in the 18th and 19th centuries. Her book, Around the Hearth: Caeretan Cylinder-Stamped Braziers (2003) is the first comprehensive study of a unique class of over 350 Etruscans braziers. Her analysis examines different aspects of origin, production, iconography, style and chronology. 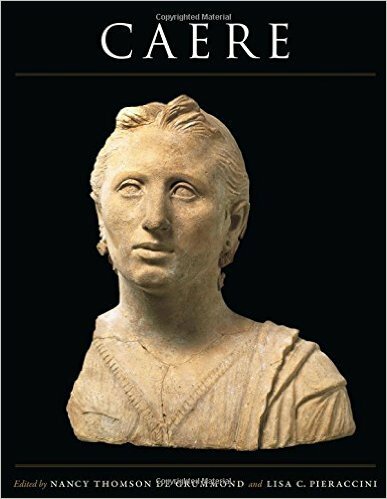 Dr. Pieraccini is also a member of the Instituto di Studi Etruschi ed Italici, and co-editor of the book series, Caere, published by the Texas University Press.